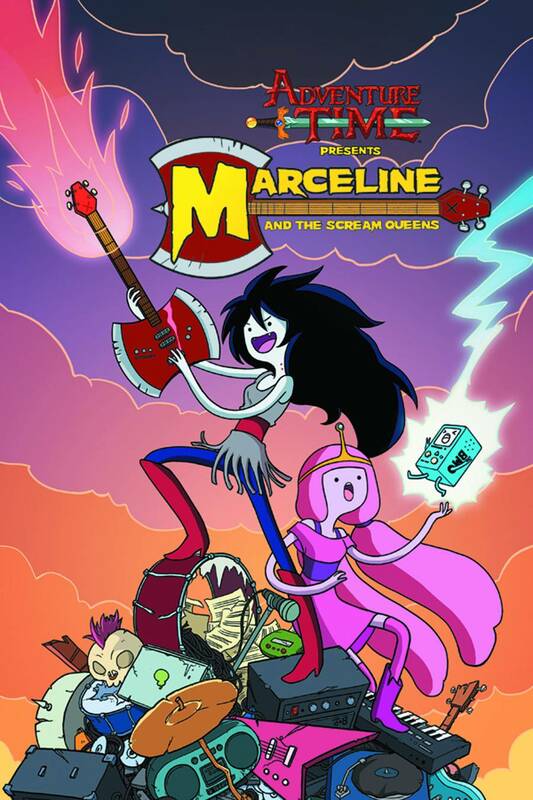 JOIN FAN-FAVORITE CHARACTERS MARCELINE AND PRINCESS BUBBLEGUM FOR RIOT GRRL ROCK-FUELED EXCITEMENT IN THIS COLLECTION OF THE ACCLAIMED SERIES! Thanks to a newfound interest in music, Princess Bubblegum joins Marceline's paranormal rock band for a tour across the land of Ooo! But when they're threatened by everything from scenesters to beasts born of self-doubt, can they stay together long enough to make it to the RADDEST GIG EVER?! Written and drawn by acclaimed cartoonist Meredith Gran (OCTOPUS PIE) and featuring a back-up stories from some of the hottest independent talent in comics today, including Jen Wang, Faith Erin Hicks and many more!